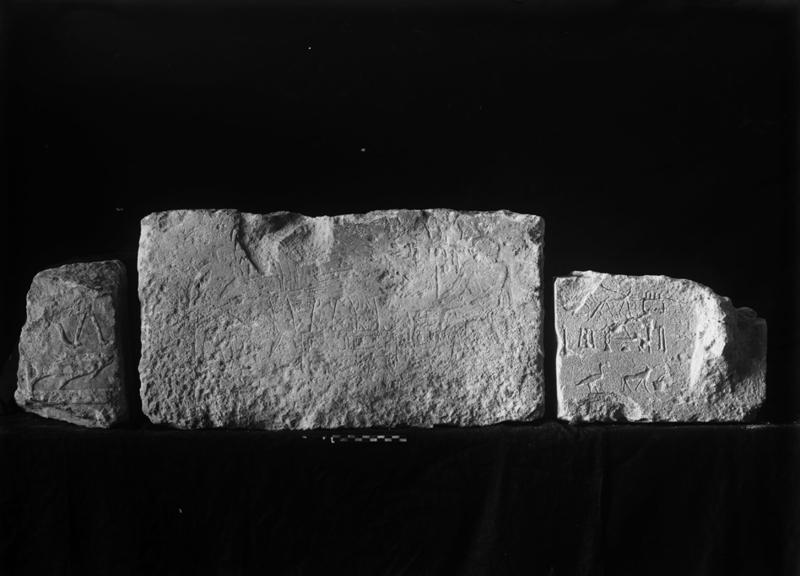 Remarks Appears on limestone slab stela (33-2-189), right side (seated at offering table); found in debris east of G 2100. Remarks Appears on limestone slab stela (33-2-189), left side (offering haunch of meat); found in debris east of G 2100. Name only partially preserved; [sr]-hieroglyph may be title "official" rather than part of name.